The first day of our vacation was spent traveling. First we drove our van an hour, then took a shuttle bus to the airport, and finally took two flights to arrive in Orlando, Florida. From there we boarded another bus in order to arrive at our resort. You might say we were a tad bit exhausted by day's end. Our kiddos with special needs had never flown before. 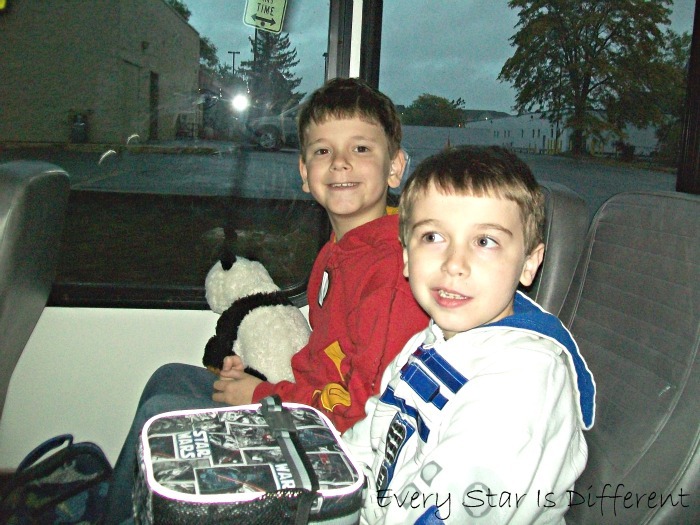 Every aspect of this first day, with the exception of driving in our van was an entirely new experience for them. 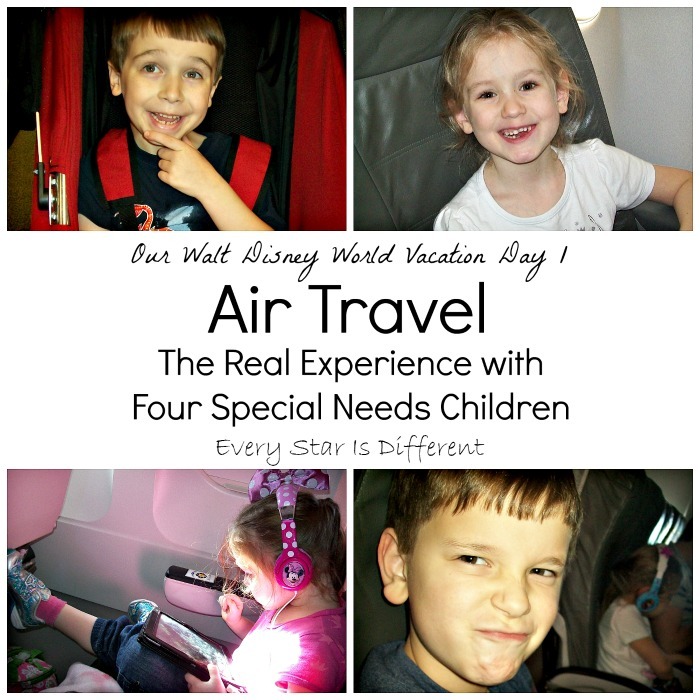 Air travel to Walt Disney World with special needs is definitely an adventure we'll never forget. 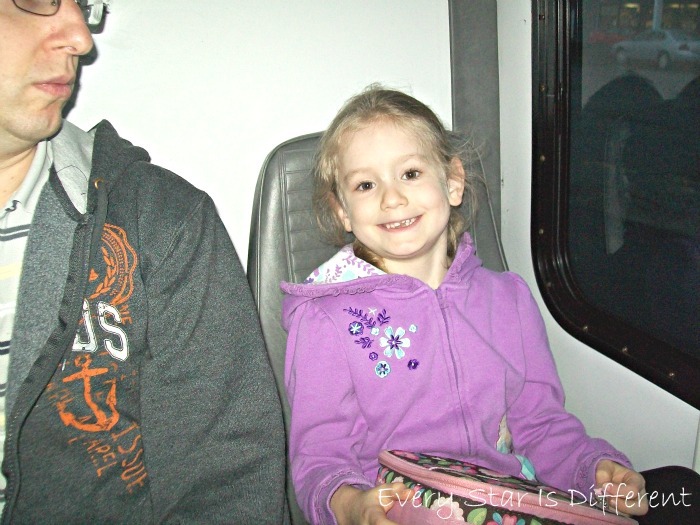 The kiddos have no memory of ever riding a bus before. 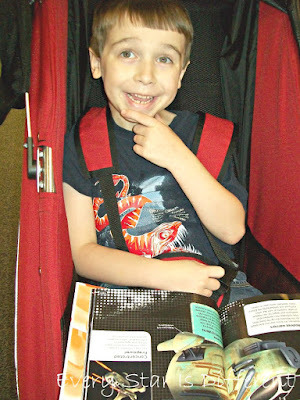 Dinomite has passed up so many opportunities because of his fear of riding a bus for the "first" time. 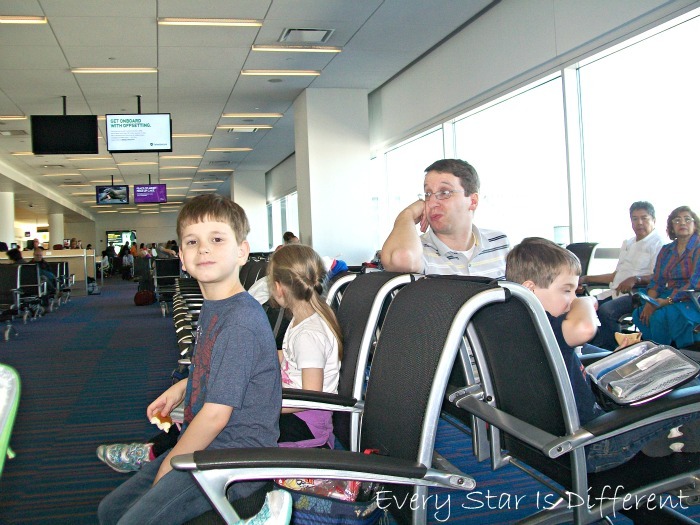 I'm not sure if it was because it was so early in the morning and he was so tired, or if he was just ready, but all four kiddos jumped on the shuttle bus and enjoyed the ride to the airport with no problems. I would say, if anyone was nervous about the ride, it was Sunshine, but she still did so well. Princess showed no reservations about anything. She was just super sleepy. Checking in at the airport was quite easy. We were met at the shuttle by someone who helped us bring our bags into the airport. This wasn't prearranged. I just believe it was something that happened, and I consider it a huge blessing. No one was in line before us, so the process of obtaining our tickets, gate numbers, etc. was very quick. The JetBlue crew member checking us in along with the other crew member who had helped us with our luggage loved interacting with the kiddos and gave them each a set of wings before the flight. As I was checking TSA's website to make sure I was following all of the rules for liquids for our flight before we left, I stumbled upon something called TSA Cares. No one I had spoken to had ever mentioned this as we prepared for our airport experience. TSA Cares is a program for families with individuals who have disabilities, medical conditions and other circumstances. A TSA officer meets you at the airport in a designated area and helps you through the entire security screening process. 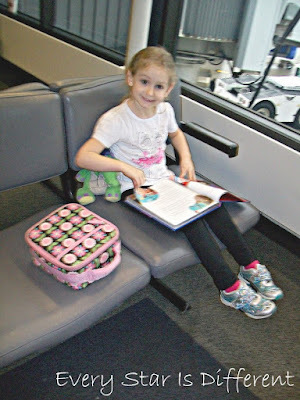 Though they had mixed up paperwork for our family and no one was waiting, the minute we spoke with a TSA agent, they immediately assigned someone to our family to help us through the line. Due to the kiddos' special needs we were permitted to take whatever liquids necessary for them on the flight, exceeding the regular regulations. The only complications we had with this process was that a yogurt container had exploded in one of our ziploc bags, all over 5 other yogurt containers. I had to take the time to clean everything up. The TSA officer was great, getting me anything I needed. Having assistance through security made all the difference in the world for Jason and I and the kiddos. We didn't feel rushed. Someone was always there to help if needed. They even brought our bags back to us etc. 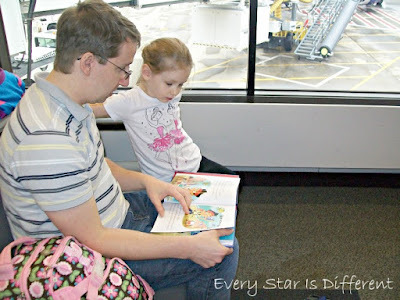 TSA gets such a bad rap, but I must say, they were amazing with our family! We had quite a long wait for our first flight, just because everything went so smoothly with no waits in line at check in and security. 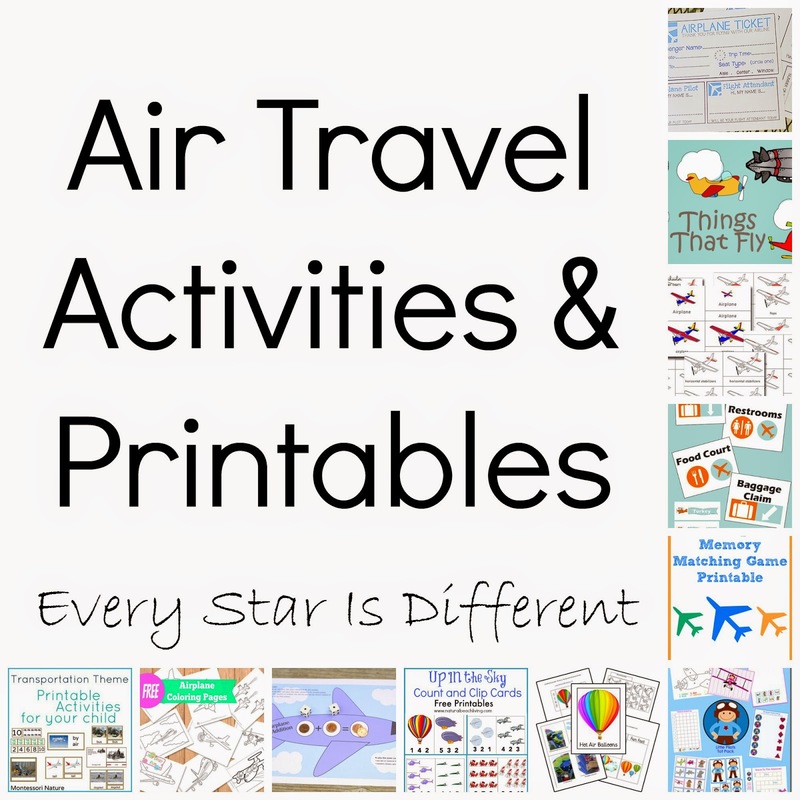 I had thought that the kiddos would be excited to look out the window at the airplanes and other airport vehicles, but they showed little interest in any of that. 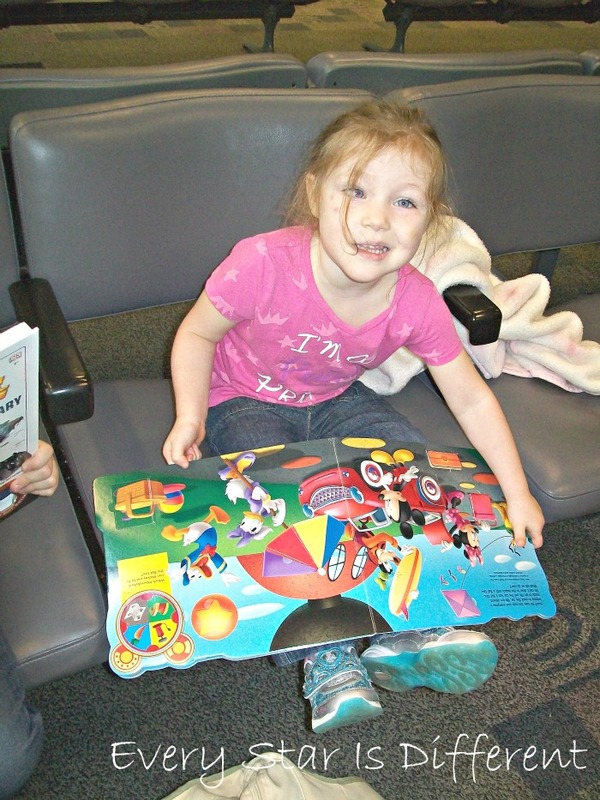 Instead they pulled out their new books and read for a bit. I had specifically purchased these books for our first day of flights, in hopes that they would keep the kiddos occupied. They worked quite well! The key was finding a book long enough. Sunshine even stayed occupied for a bit, which was nice. When the kiddos were bored with their books they pulled out their new Disney figure sets, again purchased specifically for the trip. Each set fit in a quart size ziploc bag. The figures were big enough so that the kiddos couldn't lose them and small enough to travel with easily. 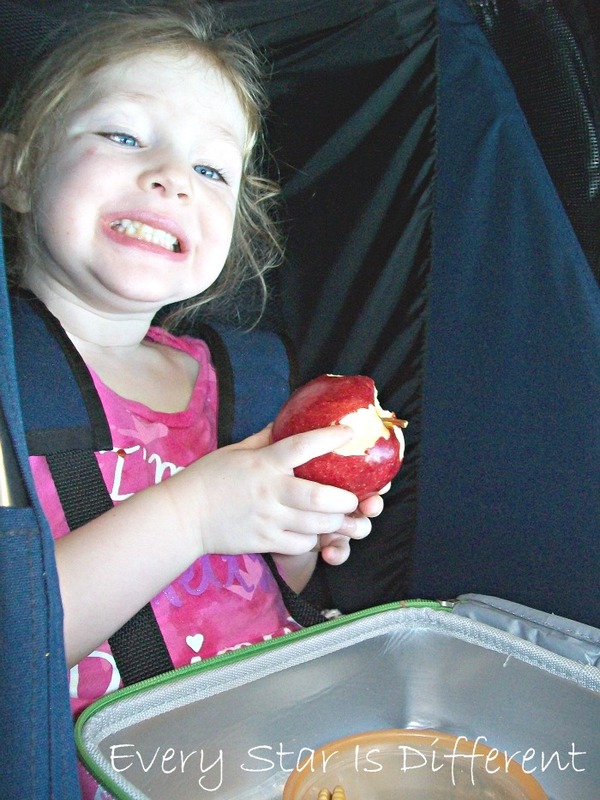 We used our two strollers to create a barricade so the kiddos couldn't escape. When I booked our tickets with JetBlue, I was told to request silent boarding with each of our flights. It was explained that a crew member would come and get us on board before wheelchairs, small children, etc. due to the kiddos' special needs. At each gate I requested this service, however, it didn't quite work the way it was explained. We boarded with those in wheel chairs. I brought the kiddos on to the plane, while Jason folded up the strollers we checked at the gate, however on one of the two flights, there were people right behind us, which made the process a little chaotic, especially trying to settle all four kiddos into seats in different rows, before Jason made it on the plane. We survived though, and if you are traveling with special needs kiddos, I would still request this service, just because you avoid waiting in line to board, and you do have time to settle and transition before the plane prepares for take off. This was crucial for our kiddos. When it came to being nervous about our vacation, I was most nervous about our flights. 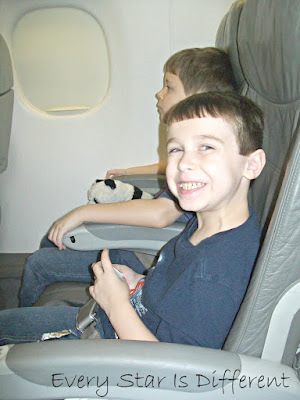 None of the kiddos had ever flown before. I could just picture Sunshine going into a full blown raging meltdown, kicking, hitting, thrashing, and screaming. Dinomite usually has HUGE meltdowns before trying new experiences. I envisioned myself trying to keep Sunshine in a hold so she wouldn't injure others while trying to push a sobbing Dinomite onto the plane. 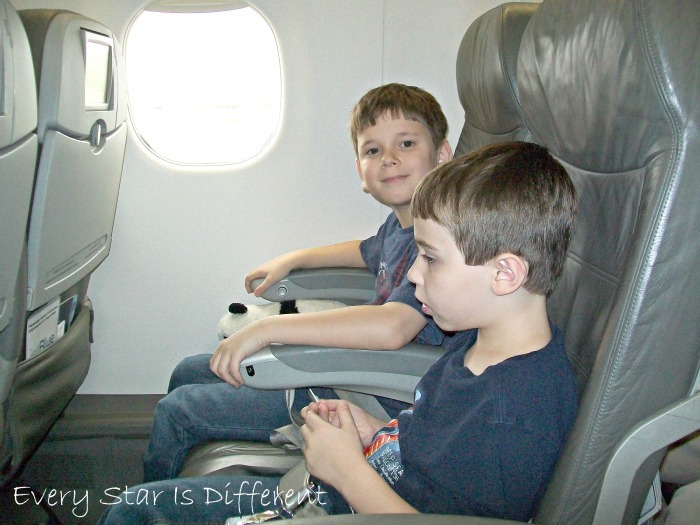 Surprisingly the kiddos LOVED flying. They were all so excited. Bulldozer was most excited of course. All four did AMAZING on their first flight. 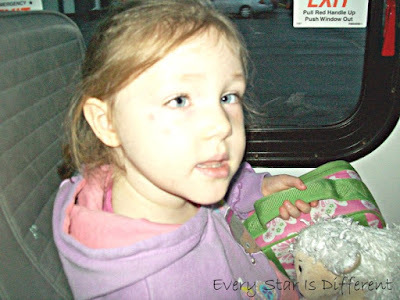 There were no tears, no anxieties, no meltdowns or anything. I truly believe the preparations for our flights made all the difference. We received so many compliments from others on the flight about how well our children behaved in the air. 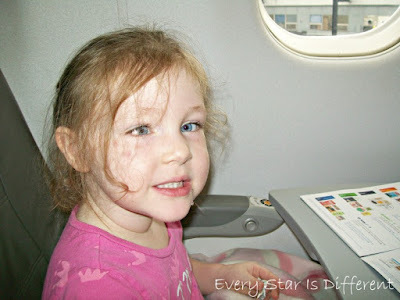 Of course the flight was only 60 minutes, but still, we had conquered our first flight and everyone was ready for the next one. 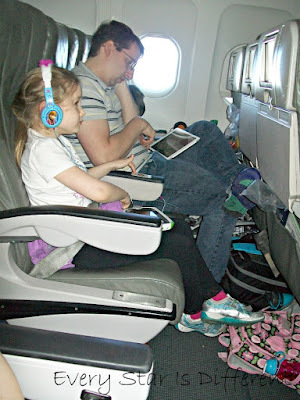 JetBlue really made flying with kiddos easy. The kiddos brought their own headphones and could watch TV all during the flight for free. They had access to Nick and Cartoon Network. Dinomite loved watching the sports channels. Bulldozer did watch TV too, but he was more interested in playing his Nintendo 2DS. At the end of the flight, one of the attendants handed us a bag full of treats to take with us. The kiddos were thrilled. 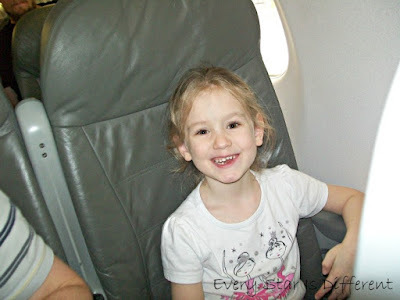 We had a layover in JFK for a couple of hours before our second flight. This is usually one of my favorite airports to be in, but from the minute we entered the terminal, I realized that our experience there was not going to be a fun one. I'm not sure if they had heat on or what, but the airport was so HOT. We were sweating. 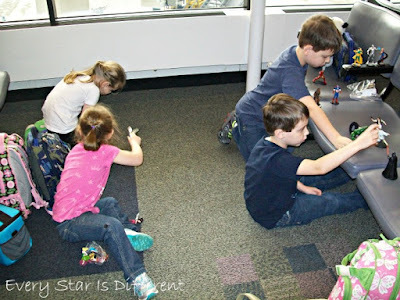 There was nowhere to build a barricade for the kiddos to play, so keeping them in one place was a little difficult. 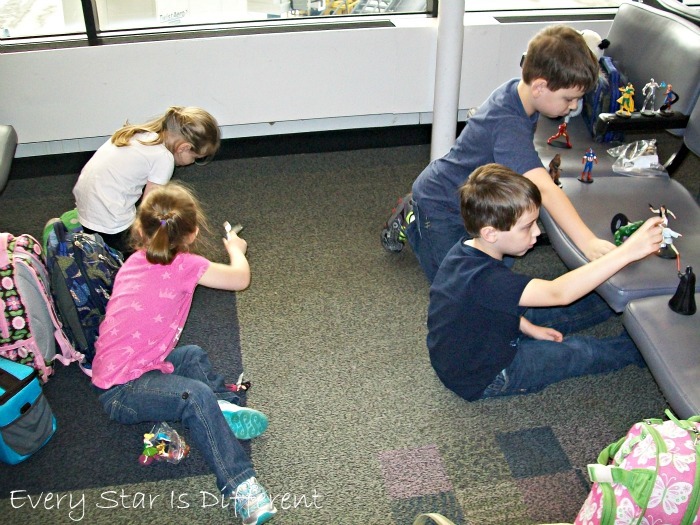 The airport did have a play area, but the kiddos, especially Princess and Sunshine, couldn't seem to follow the rules, so we left. Sunshine was especially difficult at the airport. The transition from the plane was rough and she just couldn't keep it together. Eventually she did settle down, but I had a couple of bruises on my arm, was bit twice, and kicked a couple of times. I was so thankful to have her stroller there. It was a place to keep her safe and others safe, as long as they were behind her. Bulldozer had a hard time at JFK airport as well, but I know it was the heat and the sensory overload that did him in. Again, I was so thankful for his stroller with us. Once we were settled on the second flight, all the kiddos were fine. In fact they were more than fine. They were great! Never would I have expected them to take to flying so well. This opens up a whole new world of possibilities for our family! Even Sunshine settled down for the second flight. 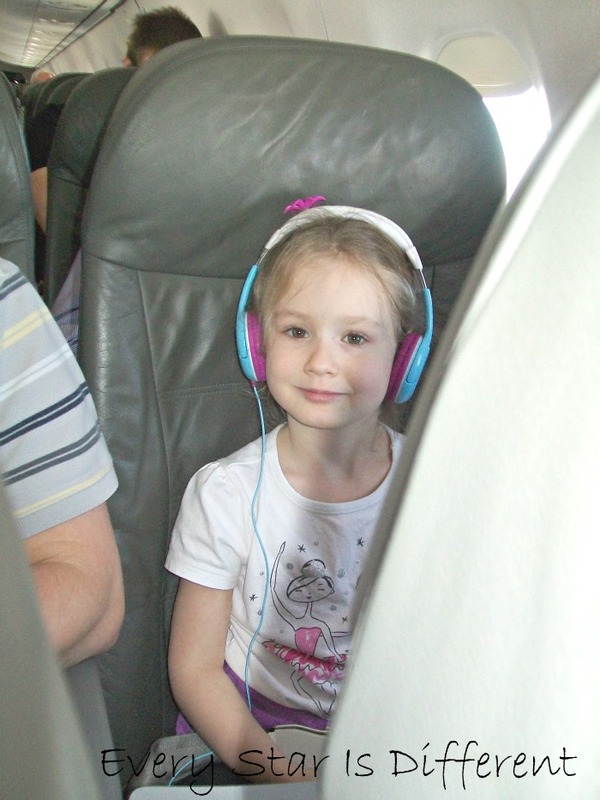 The picture below is my absolute favorite from all of our flying experiences, because it captures how relaxed and well behaved she was while flying. 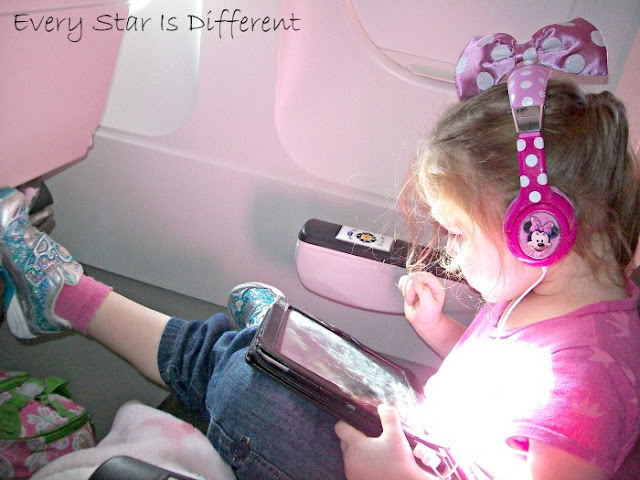 Our first day of travel was also our introduction to just how much Sunshine loves the iPad. I learned so much about her on this trip, as she was with me 99% of the time. Jason and I knew that with our RAD girls, it made sense to keep Princess close to him, as I am her target, and Sunshine close to me, as Jason is her target. This made for a much more enjoyable vacation for both of us. The kiddos did great through the entire second flight that lasted almost 3 hours. When we arrived at Orlando International Airport, we took a potty break and then headed to our shuttle. Jason took care of strollers while I herded the four kiddos on to the bus and we were on our way. Once again, the kiddos did great. 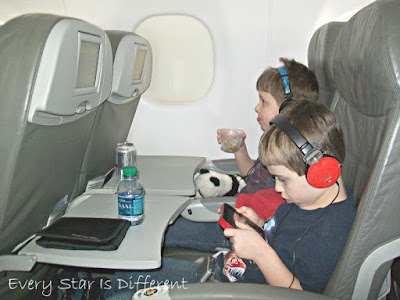 They used their media devices to stay entertained, but for the most part, just sat back and enjoyed the ride! Once at the hotel, Sunshine had another difficult transition moment. While I tried to check in, Jason took the girls to try to keep them entertained. Sadly, Sunshine wouldn't have it. I had to speed through what was necessary about the check in and promise to come back later to do the rest. We then headed to our hotel room. Once through the lobby and main building we had to zig zag through other buildings, pools, etc. to find the building our rooms were in. We ended up staying at the Broadway building on the third floor. Our hotel rooms were adjoining rooms. Both had refrigerators. They were much smaller than I had remembered, but they worked, especially since we spent such very little time there. Sunshine shared a room with Jason and I. She had her own bed. 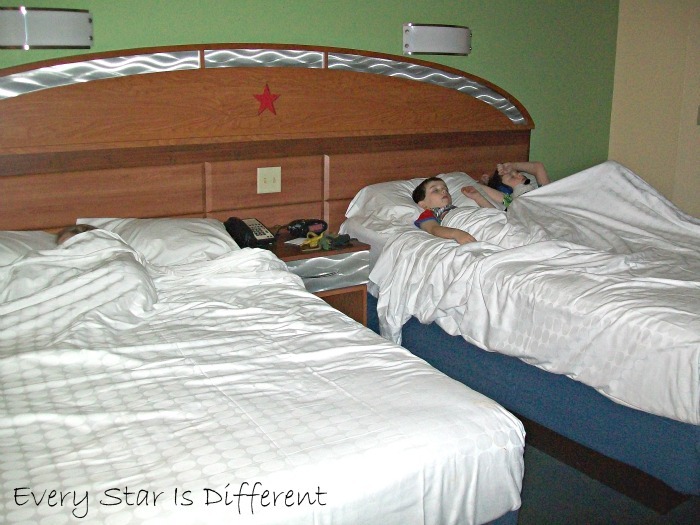 Princess shared a room with the boys. Dinomite and Bulldozer shared a bed. She had her own. Shortly after arriving to our room, we headed to the hotel food court for dinner. We had sent in all the special dietary needs forms Disney required from us two weeks prior to our stay. All table service restaurants had contacted us and made plans in advance. None of the quick service places had called, including the hotel. Our first dining experience was all but pleasant. I'll be completely honest. It was a nightmare. We had no clue what we were doing, what counted as what, and how to go about doing everything. As directed, we asked to speak with the chef, who was not prepared for our stay AT ALL. Jason ended up taking the three older kiddos, getting their food, and managing them, as I tried to talk to chef while Sunshine screamed and melted down. It took FOREVER to get her a meal that was allergy friendly. By that time the other three kiddos had finished eating. Jason and I had not been able to eat anything. Sunshine was at her worst, and we had to leave. I assured the chef and the other cast member who was trying to help us that I would be back to set up plans for the rest of the week. They gave me Sunshine's meal to take to our hotel room. She screamed and raged all the way there. In her defense, she was trying to transition AGAIN, and she's horrible at it. Sunshine was hungry, and everyone around her was eating, but her. The food court was loud and she never does well in places like that. Then to leave without food, even though I told her I had it with me, completely confused her. 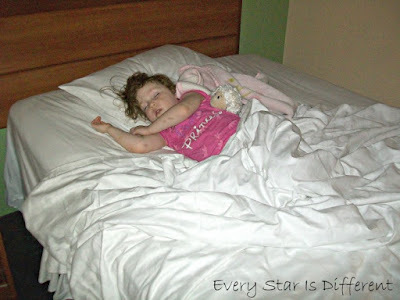 And of course there was the obvious factor that she had been up since 5:30 AM, traveling all day. Once we were back in our room and she had calmed down, she ate all of her dinner, watched a little Disney Junior, and then fell asleep in her bed. Meanwhile we were still waiting for all of our luggage to arrive. Disney's Magical Express service picks up luggage at the airport for you and delivers it to your room. Though this service was a HUGE help, when explained originally, we were told the luggage would be delivered between 2-3 hours after arrival. Little did I know that meant after check-in at the hotel. It finally arrived at about 10:30 PM. The other kiddos fell asleep quite quickly as well after changing into their pjs. 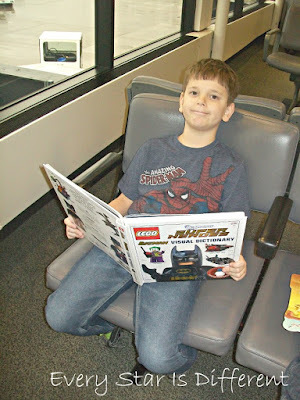 Once the kiddos were settled, I headed back to finish our check in. Then I went back to the food court. The woman who helped us before was thrilled to see I was back. She had been so worried. I assured her we were fine. Sunshine is Sunshine and there are just some situations she can't handle. The chef came out as well, just as concerned. He was thrilled when I told him Sunshine had eaten everything on the plate he had prepared. From there, the three of us made a plan for the rest of the week, regarding when we would be using the food court. The chef and the other woman were amazing and so helpful. They were willing to do anything and everything for our family. We were given access to Lactaid milk for Sunshine everyday that we could take to our hotel room. The chef made a ton of homemade french fries for her, since she couldn't have the ones that were served there. They were on hand and ready any time we needed them. Allergy friendly chicken nuggets were ordered in to have on hand as well. The chef and other woman knew all of our family members by sight and name for the duration of our stay and always made a point to say hello when they saw us. Though our first quick service dining experience was rough, those after, at our resort food court, were the best! When I returned to our room, Jason was able to pick up food for himself and I before bed. I spent the night unpacking everyone's luggage so things would be organized for our stay. It was definitely a late night, but so worth it to have easy access to everything while there. All of us slept so well and couldn't wait for our first day in the parks! 1) Call TSA and request TSA Cares assistance with your special need children. It will make all the difference trying to make it through security lines. 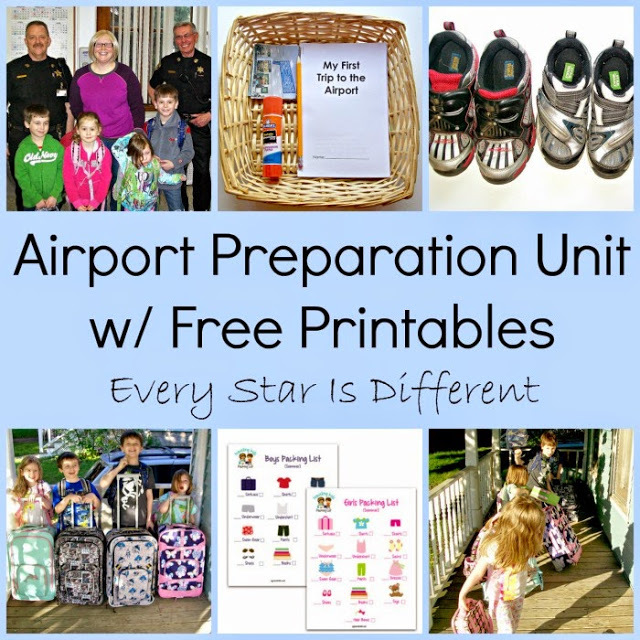 2) Request Silent Boarding or other accommodations for your family with special needs. Though it may not work correctly all of the time, when it does, it's worth it, and even if it doesn't, you'll still receive extra help which is always a good thing. 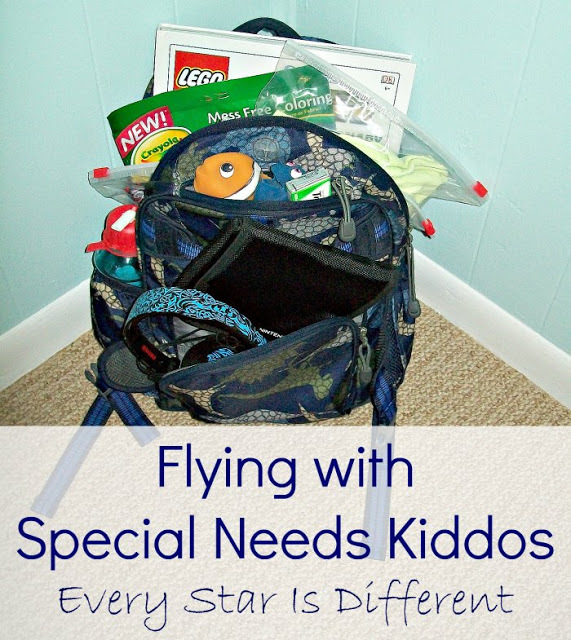 3) Prepare your special needs children for the airport and flying in as many ways as you can. See the posts below for tips and resources. 4) Be ready for your children to feel sensory overload while in airports and prepare accordingly. 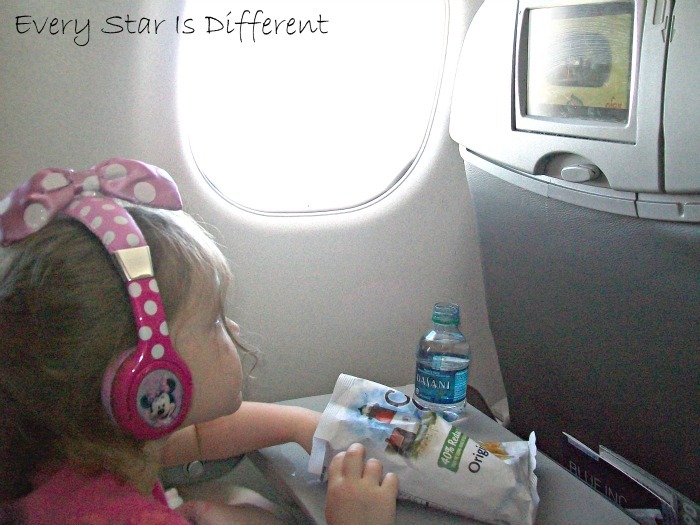 5) Don't hesitate to use media while traveling, however be sure to have extra books, toys, snacks, etc. on hand for when batteries run out! 6) Make arrangements for check in at your Walt Disney World Resort. Lines can be long. The process itself takes a while. 7) When you first arrive at your hotel and you plan to eat there, meet with the chef BEFORE you bring your entire family to eat, so you know what you're doing and something is prepared for those who need it. 8) Getting food to go is always an option. For those who are sensitive to noise, smells, etc., eating in your hotel room can be such a life saver! To read more about our Walt Disney World vacation experience with four special needs children, enjoy the posts below! For more details about our preparation for traveling the first day of our trip, feel free to check out these posts! Thank you so much for this post. 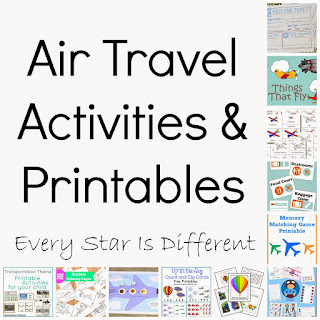 I've just found you from Pinterest looking for social stories about travel. I appreciate that yours were free, and then I just had to go read through your whole travel story. 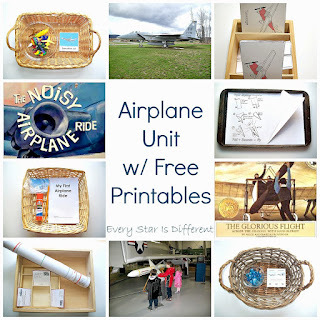 Thank you for the links to these printables, and the stories. So many great tips in this post! :) I never knew about "silent" boarding before and TSA care assistance. Great resource for those with special needs! Thank you for sharing your experience! 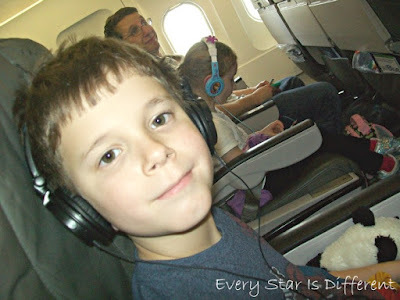 I have been worried about our first flight with our special needs teen.